In a large bowl mix together oatmeal, flour, brown sugar, baking soda, ground cinnamon and salt until well combined. Pour over melted butter and mix well. Press half of the oatmeal mixture into prepared pan. In a separate bowl, toss blueberries, lemon juice and cornstarch together. Spoon the mixture over the crust and sprinkle remaining oatmeal mixture over blueberries. Bake for 20-25 minutes or until golden brown. Remove from oven and allow to cool. Try strawberries, blackberries or cherries in this recipe for a wonderful summer breakfast idea. Slice, wrap and store in fridge for a great snack. 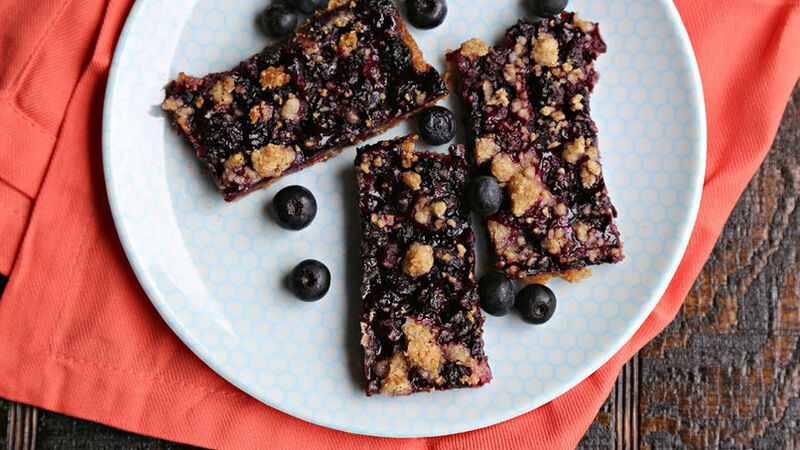 Blueberry breakfast oatmeal bars are a wonderful on-the-go breakfast, plus they are wonderful as a snack or for a picnic!